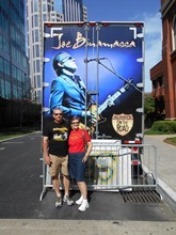 Joe Bonamassa Forum → Street Team → Street Team Stories: How has Joe's Music Affected You? Re: Street Team Stories: How has Joe's Music Affected You? Well, I'm a real virgin; I haven't seen him live and I"ve only been a fan for a few months but I have to say Joe has reawakened my love for music as well as other things. I suffer with depression and have a lot of medical issues.....there were financial problems etc..long story. I lost my love for books, music and the like during a bad episode earlier this year and one night Palladia was showing one of his concerts. I really perked up when I heard/saw him play. Memories flooded back of my adolescent years when I would traipse down to Greenwich village to see my idols.....Muddy Waters, Paul Butterfield. Joe's music makes me feel alive and even grateful for the respite it has brought me. Wow Rick your post summed up how Joe as infected us all with his music and some of us have been fortunate to get to know Joe a little better and understand that he is a kind loving soul and the real deal. A truely wonderful person. really make me tear up as corny as that sounds. I've heard so many stories and seen videos of how he treats his fans, just talking to people in general and it truly warms my heart. He does sound like a lovely person. I"m so glad to be here and I can't wait to finally see him in person and who knows.....maybe even a handshake or a hug??? Nice review too. Love the fancy suit and the funky sneakers! There are a few, very rare individuals whose creative actions go beyond definition Beyond our ability to measure or judge. I need to go into third person here otherwise it sounds a bit too gushing. 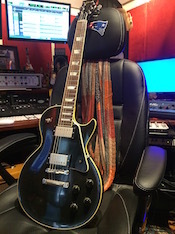 Joe Bonamassa is, I believe, an utterly unique being who risked everything for his belief and eventually exploded into the realm of what I would call. and the perfect melding of the group driven and inspired by his singular talent and humility. Every performance is a “one off “because he lives in the moment he is playing so its always original. He imbues his music so thoroughly with himself that it become perfect fusion, utterly transcending the norm. If we the listener are very fortunate, we are drawn into this astonishing energy. How can one critique a musician who inhabits the stage with his entire being to such a degree that he transcends the norm and becomes the music and or the song and like a super powerful magnet ,draws us into this beautiful synergy. Surrounded by a band whose musical coherence springs directly from Joe’s unique genius and lack of negative ego,allowing them total integrity towards each other. I was so impressed concerning your words about relearning rhythm guitar in order to allow the individual soloist complete freedom to perform. I have never ever seen a band with such a lack of ego where the leader has integrated and inspired his band just as they inspire him. “Figure out how to get out of our own way, our own sick ego” says Pacino and he is of course right. He dwells within his roles with such a totality that he becomes that being. The astonishing courage of Beethoven, finishing his symphonies by listening to his compositions through his feet. Perhaps its like a completely rare and exotic foreign language with one creative genius in the arts showing up every twenty years or so who speaks and understands this singular and passionate tongue. who create such a rich and singular reality. They enter their creative space and expand it to subsume the audience and inhabit us with their passion and that’s most assuredly what you’ve done Joe. I believe we are our own biggest obstacles to free will and freedom of being, always assuming we live in a relatively free society. When we open ourselves to the vagaries of the universe in all its majesty. richness, ecstasy, joy, misery, corruptions and agony we become alive to its rewards and can trust the process of being and embrace the moment like a Rabelaisian Kazantzakis creation of Zorba. Needless to say Joe this is precisely what you’ve done and what a wonderful miracle that I did find you and your music and I can listen and feel the connection to my senses. Thank you for your courageous journey Joe and for standing firm with your honesty and genius. May you continue to delight our souls and celebrate our spirits for many years to come. Bravo !!! (see Les Travellers)and we had the distinct pleasure of headlining and I cannot tell a lie,(shared with Connie Francis) at The Olympia so a splendid bonus to have trod the same boards as you. I play your music every single day and each time it’s a unique experience and I thank you for the joy it inspires. also reminds me of my brother Les who played lead for Lonny Donnegan in UK .in sixties. He had the same intuitive style you had. Again I thank you for your gift. Ps. just discovered you are playing Victoria in May 2015 so if I can get my ageing bones over to Vancouver from Victoria you will most assuredly hear my plaudits. Oh the "Power of Joe" Welcome to the Forum. I have been absent from it for some time, but you will find the most amazing & wonderful people here. Joe's music powered by a great heart, shows in the Fans too. Lucky you to be the age (77) that is also the year Joe was born (1977) A lot of people have actually found Joe's music to have a Healing quality. I am one of them. One good thing about finding Joe later in life and in his career, is that you can immerse yourself in the earlier music. What an amazing review Jonathon. Welcome to the forum. Such an eloquent capture of the essence of Joe, I've felt that but lacked the words. You arrived late to the party but have made up for it in spades. May you get to that gig and revel in the experience of live JoeB and his band. Must be the best introduction ever. Welcome. I am so inspired by reading all these posts that, well, I think I need to add my story. A few years ago, I was running (I am an avid runner) listening to the radio on my old Blackberry. The guy on the radio mentioned Joe Bonamassa and his show that evening and I said: Joe, who? Another wannabe, singing whatever music? I heard the announcements a several times before Joe's music finally started. This was unbelievable. What a music!!! I played occasionally guitar since the age of about eight. Kinda, a few weeks of trying, then months or years of not touching the instrument so most of my life (late 50's) I did not played. I've always head excellent ears, less perfect fingers and very bad motivation. Since I've heard Joe, I started practicing at least three or four times a week. And these are probably the most exciting moments in my everyday life. I destress, I compose, I register my music and really enjoy it. I always liked well defined tone e.g. David Gilmour, Eric Clapton, and Joe is in the same club. I don't have the rig like him, I don't have the fingers like him, I even don't try to play like him. But I listen his music almost every day at work and it makes me more efficient and certainly happier. Blues, in its essence, is a sad music. Joe's blues is moving, motivating. I watched him live for the first time this past Friday and I quit the venue excited because what I've heard was perfection, at least as I imagine it. Although there were no many Joe's original songs, mostly covers, his playing was clean and soulful. Joe, you changed my life for better. I'll never play guitar outside of my bedroom, but Joe made a better guitarist of me. Something I wanted to be, but never really tried. Well said. You get it too. I will never forget the first time I saw Joe. This was probably around 7 years ago.I had missed him earlier that year at the blues festival and I had been watching some rather impressive videos on JBTV and I told my buddy we needed to see this guy before he left the northwest. We arrived at the venue fairly early and we were shocked to see about a dozen people in front of us...hmmmm...We thought we were diehards...Anyway, the first question from these people was...Have you seen Joe?...and then that look...that look that those have seen him give to those who haven't....A look I didn't understand at the time, but now understand all too well...That knowing look like you are about to be let in on a big secret, but one they can't wait to see unfold in front of your eyes. I remember looking across the audience during a few of his blinding solos and everyone just still, with mouths wide open...Funny, I was doing the same thing. At the end, during"Asking around for You" I felt an incredible high, but also sad that this performance was ending....I have promoted every tour since, met Joe a few times, and can think of no other artist in the industry that I want to give more back to. His work ethic, his great laid back attitude, and his ultimate professionalisim, inspired me beyond words. Thanks to Joe, Roy and all the fans on this forum, that make being part of this J&R adventure so fun and satisfying ! !